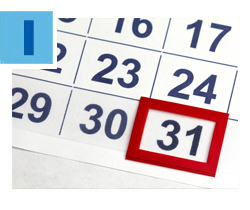 Don’t miss out on the advantages of year-end giving! Your pledge payment or new gift to Federation by December 31 lets you support Jewish needs and enjoy income tax benefits. Cash, checks and credit cards are accepted, and you can also use appreciated stock, too. Click here to learn more or call 305.576.4000 for personal assistance. 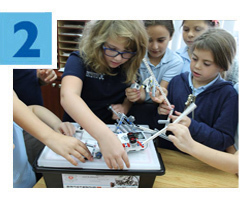 Students at five Miami Jewish day schools are learning about robotics, recycling and Jewish values and are engaging in creative play, thanks to the new Eleanor Meyerhoff Katz z”l Teacher Initiative Award. Created by South Florida resident Danny Katz; funded by the Eleanor M. and Herbert D. Katz Foundation; and administered by the Center for the Advancement of Jewish Education (CAJE), a Federation subsidiary agency, the program has allocated $18,000 in the first year to support innovative educational experiences. Click here to read more. Before you head out for winter vacation, be sure to register for the 2016 Women's Event, Tuesday, January 12, 2016. You’ll want to be a part of this inspirational day, empowering women from across our community to make a real difference through tzedakah. Learn about the unique Federation-funded programs that help women and children, and hear the incredible story of Linor Abargil, Israel's first and only Miss World titleholder. Click here for details and to RSVP now. From Eastern Europe to Central Asia, Federation is preparing the most vulnerable Jews for the onslaught of winter. 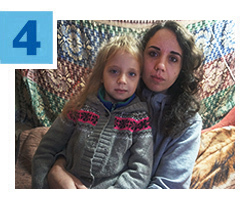 Through our partner, the American Jewish Joint Distribution Committee (JDC), Marianna, 28, and her 6-year-old daughter, Valeriya, (left), receive warm boots and coal for heating their tiny, dilapidated apartment in Odessa. The winter supplies help Valeriya, who suffers from frequent colds and other medical complications. Now and throughout the year, JDC also provides food, medical aid, school supplies and more. 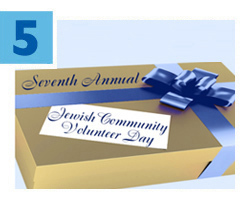 Just a few spots remain open for Jewish Community Volunteer Day, the annual December 24 and 25 event organized by Federation’s Jewish Volunteer Center. Volunteers of all ages are invited to give the gift of meaning and help bring joy to those less fortunate. Check out the family-friendly offerings still available and sign up now!